This story was first published by our sister publication Consumer Reports. It’s not surprising to find bacteria on favorite foods such as chicken, turkey, and pork. But we usually choose to consume those meats well-cooked, which makes them safer to eat. Americans, however, often prefer their beef on the rare side. Undercooking steaks may increase your risk of food poisoning, but ground beef is more problematic. 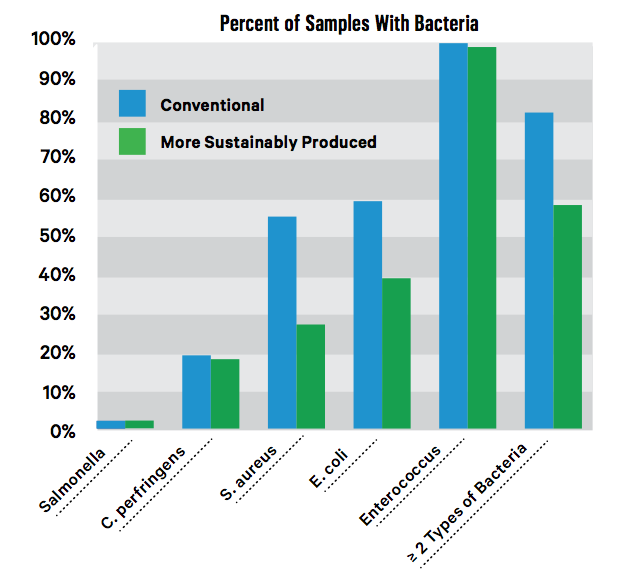 Bacteria can get on the meat during slaughter or processing. In whole cuts such as steak or roasts, the bacteria tend to stay on the surface, so when you cook them, the outside is likely to get hot enough to kill any bugs. But when beef is ground up, the bacteria get mixed throughout, contaminating all of the meat—including what’s in the middle of your hamburger. Also contributing to ground beef’s bacteria level: The meat and fat trimmings often come from multiple animals, so meat from a single contaminated cow can end up in many packages of ground beef. Ground beef (like other ground meats) can also go through several grinding steps at processing plants and in stores, providing more opportunities for cross-contamination to occur. And then there’s the way home cooks handle raw ground beef: kneading it with bare hands to form burger patties or a meatloaf. Unless you’re scrupulous about washing your hands thoroughly afterward, bacteria can remain and contaminate everything you touch—from the surfaces in your kitchen to other foods you are preparing. “There’s no way to tell by looking at a package of meat or smelling it whether it has harmful bacteria or not,” says Urvashi Rangan, Ph.D., executive director of the Center for Food Safety and Sustainability at Consumer Reports. “You have to be on guard every time.” That means keeping any raw meat on your countertop from touching other foods nearby and cooking ground beef to at least medium, which is 160° F. Eating a burger that’s rarer can be risky. In one 2014 E. coli outbreak, five of the 12 people who got sick had eaten a burger at one of the locations of an Ohio pub chain called Bar 145°, which was named for the temperature “of a perfectly cooked medium-rare burger,” according to the company’s website. Cattle can have a healthier (and more humane) upbringing if they graze in pastures for most—if not all—of their lives. “The most sustainable beef-production systems don’t rely on any daily drugs, don’t confine animals, and do allow them to eat a natural diet,” Rangan says. And what’s good for cows is good for people, too. “Our findings show that more sustainable can mean safer meat.” That’s why Consumer Reports recommends that you buy sustainably raised beef whenever possible. 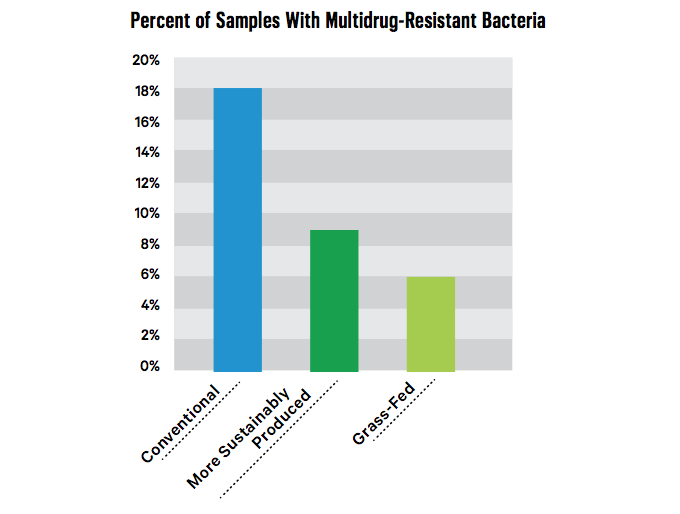 Sustainable methods run the gamut from the very basic ‘raised without antibiotics’ to the most sustainable, which is grass-fed organic. “We suggest that you choose what’s labeled ‘grass-fed organic beef’ whenever you can,” Rangan says. 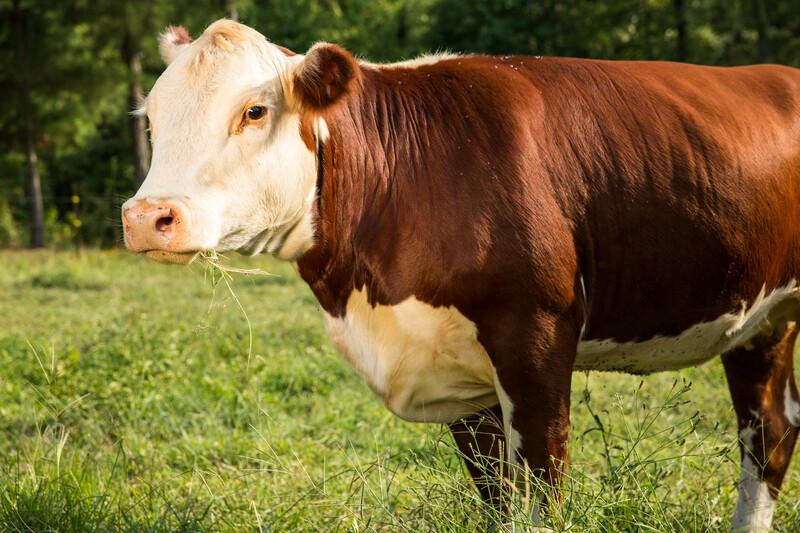 Aside from the animal welfare and environmental benefits, grass-fed cattle also need fewer antibiotics or other drugs to treat disease, and organic standards and many verified grass-fed label programs prohibit anti­biotics. Sustainably raised beef does cost more, but it’s the safest—and most humane—way for Americans to enjoy our beloved burgers . . . cooked to medium, of course.